The first synopsis for Godzilla Vs Kong has surfaced online. Production on the next entry in Legendary Pictures' MonsterVerse is set to begin any day now under the direction of Adam Wingard (Blair Witch, The Guest). As the movie gears up for filming, the first plot description has been revealed and it teases a monster battle for the ages, while also cluing us in as to what shape the world is in when this duel gets underway. The synopsis reads as follows. Godzilla: King of the Monsters, which showcased its first action-packed trailer during San Diego Comic-Con over the summer, will be hitting theaters ahead of Godzilla vs. Kong in May 2019. That means we've got a big movie featuring Rodan, Mothra and King Ghidorah before this duel with King Kong can take place. Per this synopsis, it sounds like by the time next year's movie is over, the Earth will be contending with the existence of monsters on a more regular basis. We also see that Monarch, the corporation that has helped provide connective tissue for these various movies, is going to once again be heavily involved. As for what this conspiracy could be? That's anyone's guess at this point, but it's certainly understandable that a number of humans would want to see these monsters gone for good. Even Godzilla, while trying to fight bad monsters, causes a great deal of destruction and human casualties. Aside from the marquee duo of monsters, this movie brings with it a stellar human cast. Millie Bobby Brown will reprise her role from Godzilla 2, providing some connective tissue. Other cast members include Julian Dennison (Deadpool 2), Alexander Skarsgard (The Legend of Tarzan), Rebecca Hall (Iron Man 3), Brian Tyree Henry (Atlanta), Eiza Gonzalez (Baby Driver), Shun Oguri (Azumi 2), Jessica Henwick (Iron Fist), Demian Bichir (The Nun), Van Marten (Avengers: Infinity War), Zhang Ziyi (Crouching Tiger, Hidden Dragon) and Shun Oguri (Gintama). 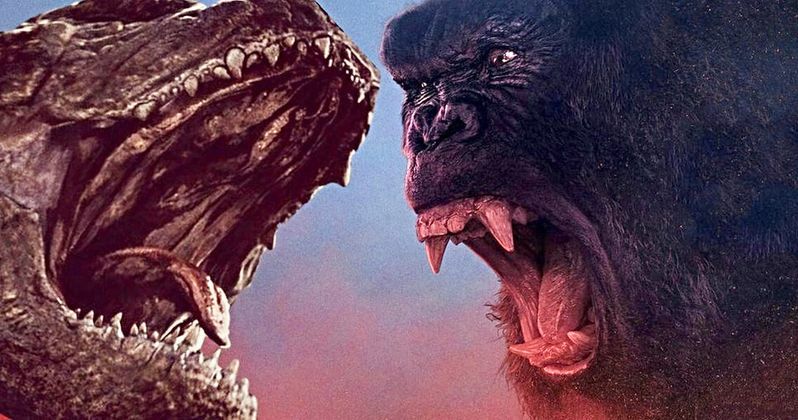 The MonsterVerse as we know it kicked off in 2014 with director Gareth Edwards' Godzilla, then continued last year with Kong: Skull Island, both of which did solid business at the box office and were received quite well by audiences and critics. It seems like Godzilla vs. Kong will be the culmination of everything up to this point. But will Warner Bros. and Legendary provide us with a conclusion or keep the door open for further installments? We'll have to wait until May 22, 2020, to find out. This news was previously reported by Godzilla-Movies.com.